It is with great sadness that I write you of Dave’s death early Thursday morning at Alta Bates Hospital in Berkeley. He was taken there Wednesday by the paramedics after a fall in his bedroom caused fractures in his spine and hip. We met with a palliative care doctor and discussed his options for treatment. Although Dave’s preference was for “comfort care” rather than any extraordinary intervention, he was open to exploring having a pin put in his hip to stabilize him. It would have been a long recovery process. Instead his heart stopped, likely in response to the stress of the fall. Marcus and Shaylene came immediately. Tyler flies in Sunday. It will be good to have them all together. Dave’s instructions upon his demise are to hold a rock & roll party at the Faculty Club. I’ll let you know as plans take shape. Dave graduated CAL in criminology after rowing for 4 years. He then headed to Hastings Law School. However his legal education was interrupted by two years in the Navy stationed in San Diego. In 1971, he restarted at Hastings and signed up for the law school rugby team in his second year. As a tall, graceful, athletic man, he was a perfect second row, despite his moniker of “Bunny”. The team quickly became a focal point for him and his college sweet heart and ultimately wife, Helen, who also played second row for SF Women’s Rugby team. After graduation and passing the bar, he joined PG&E’s law department where he initially handled environmental cases and later construction litigation. A seemingly patient quiet lawyer at work, he came alive on the Hasting Rugby team on and off the field, as a fire-eating player and a boisterous singer at the post match parties. Rugby he declared, was a lot more fun than rowing! The team adopted its nickname “The Floating Rhinos” after a 1977 tour to England and Wales, thereafter becoming known as the Hastings Rhinos. The team, matured into the HOBS (Hastings Old Boys) and played together many years both locally and on tour to Canada and Catalina. Dave’s interest in refereeing coincided with the old boys era, when he began to ref more than play. His family interests broadened upon becoming the father of two boys, Marcus and Tyler, who later played rugby. As an active referee, he progressed up the grades until age and the requirement of stronger legs and better athleticism caught up with him, when he turned to referee coaching. In the late 90’s Dave became one of Northern California’s and USA Rugby’s stronger Performance Reviewers. Most referees aspiring to the National Level had to travel to “Pelican Land” to have Dave complete a review/grade on the referee’s performance. 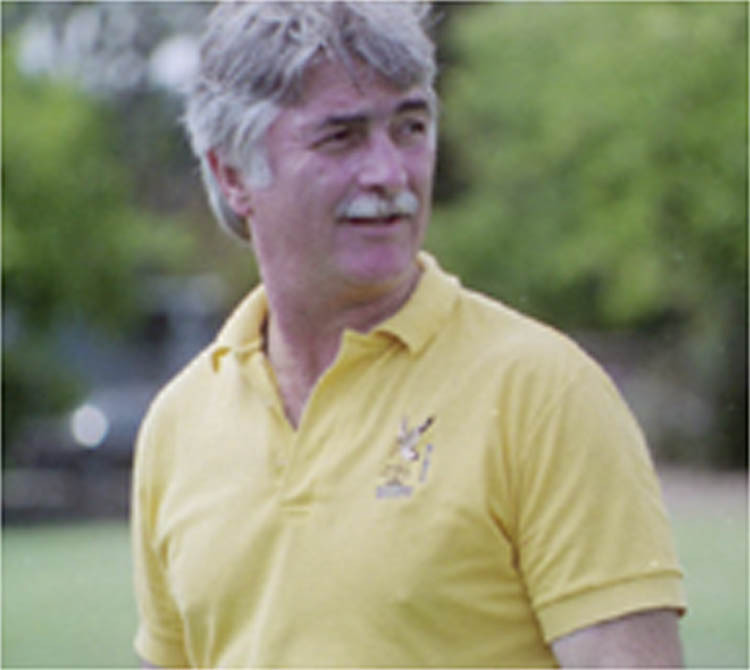 In addition to being a performance reviewer, Dave was tasked by the Pacific Coast Rugby Football Union to chair the referee’s society (from 2000-2004). Dave continued to regularly complete Performance Reviews until referee coaching became popular with the IRB, now World Rugby. Retiring from coaching at the national level in 2009, he devoted countless hours to the coaching of young referees, coaching Berkeley High boy’s rugby team, filling duties as Development officer at the monthly NorCal Referee Society and organizing the Rugby NorCal high school referee system. His death on June 29, 2017 is a sad day for Rhinos, Pelicans, referees, family and friends. He will be missed. Rugby NorCal and the Northern California Rugby Referee Society (NCRRS) have partnered to create the David Williamson Referee Scholarship as a way to honor the great David Williamson who put in so much time over the past many years to continue to develop young referees among our ranks. He is survived by his wife of 33 years, Linda; his children, Colin Walsh of Davis, and Denise Sanford, of Santa Cruz; his stepchildren, Catherine Bailey, Michael Burke, both of Woodland, and Patrick Burke of Vacaville; 11 grandchildren and 5 great-grandchildren. Dr. Walsh was born in London, England, two years before the outbreak of World War II. When the attacks on London began, his mother took him to live in the countryside while his father, a medical doctor who had survived both the Irish War for Independence and the Irish Civil War stayed behind to tend to the residents of London throughout the Battle of Britain. The neighborhood around their house was devastated by multiple types of German ordnance, but their house remained standing after the war with relatively minor damage. 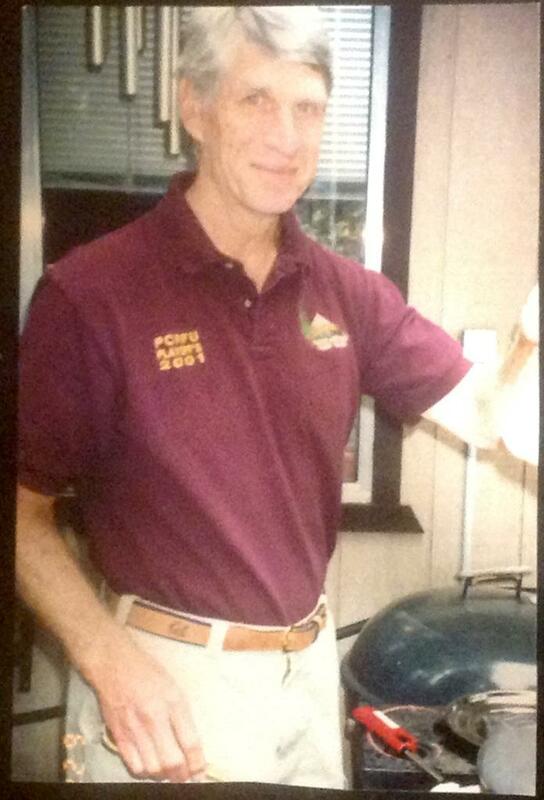 Dr. Walsh was a faculty member at the University of California Davis for 47 years. For 30 of these, in the School of Medicine, he conducted a well-funded, 28 year NIH research program on the study of hormonal signal transduction. One of his major accomplishments was his discovery of the cAMP-dependent protein kinase, the first discovered of the now known 500+ protein kinases that are one of the very major cellular regulation signals throughout the body. While in the School of Medicine, he taught graduate nutrition, endocrinology and biochemistry to medical students. For 18 of these years, he also served as Associate Dean for Curricular Affairs for the School of Medicine MD program, with responsibility to oversee programs to implement and the ensure the excellence of the MD program. In 2000, he joined the faculty of the School of Veterinary Medicine to pursue his interest in broadening his perspectives in Health Sciences Education. He undertook a three-year intensive evaluation of the required clinical training program for all veterinary students at UC Davis, reviewed and evaluated veterinary education in Europe and South America. He also served as the Editor of the Journal of Veterinary Medical Education (JVME), Editorial Boards of the Journal of Biological Chemistry, Biochemistry, and the Biochemical Archives, and served extensively in Grant Reviews for the NIH. He participated extensively in the Ph.D. graduate education, particularly Nutrition and Molecular Endocrinology. He was an active student advocate, advising students to how best use their talents and skills. Dr. Walsh’s personal passions included woodworking, restoration of antique musical instruments and a horse carriage. Above all, he loved the game of rugby, which he played while a young man in England. Donal’s contributions to the game of Rugby were many. He refereed, coached and promoted United States rugby. He was the first Chairman of the USA Laws Committee. He designed and produced the first US Rugby Law handbook, this book included all aspects of international law but was reorganized and annotated to make it more understandable: Notes, penalties and annotations were placed within the pertinent Law; using color-coded sections. This format was later adopted internationally and continues to be used. 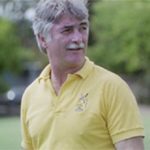 He served enthusiastically as the faculty advisor for the UC Davis Men’s team for over 40 years, and for the Women’s team for almost 20 years, and he was one of the first coaches for the UC Davis Rugby Team in 1972. Donal believed athletics were an essential part of a university education, and Rugby was his passion. In life he worked with the players to help navigate academic challenges off the field. he would also encourage players at practices and games and cheer from the sidelines. Donations can be made to the Donal Walsh, Davis Aggie Sustaining Fund, 627 Buchannan Street, Davis, CA. This fund has been established to improve the Rugby Field for the UCD womens and mens Rugby teams. When I bought my first law book (1977), it was by mail order from the NCRRS. The society published essentially the only usable law book in the world, and the society was funded entirely from the profits. Any time someone reads the Laws, a thought should be spared for Donal Walsh. Our dear friend and long time supporter of the the entire Bay Area Rugby Community, died on Monday, 22 August 2011. Cheryl first got involved with rugby in the mid-90’s with the Northern California Rugby Referee Society. Starting in 1996, she became an integral part of the Golden Gate Rugby Club. Cheryl had many highlights in her rugby involvement and the 1997 tour to the East Midlands were reportedly her zenith. It was there she met her great friends, and friends to us all, Murray and Sue Felstead. Readers solely of more recent vintage may not know her name, but long-time Pelicans will honor the debt we all carry for the work she did for the NCRRS over about a decade. One measure of her worth to the Pelican Refs is the fact that Cheryl is one of but a handful of winners of the Dixon Smith Award for lifetime achievement in helping this Society prosper. I couldn’t help but delight in Cheryl’s company from the start, because of the circumstances in which we met. This was back when Golden Gate (ten years before they were SF/GG) played a series of Friday night home matches under the lights at Kezar Stadium. I had been assigned to run touch for Don Reordan, so after having gotten off work at noon I found myself early, having a pre-match cup of coffee at the Kezar Pub, reading Rugby Magazine, our only rugby lifeline in those pre-Internet days. With that line in a bar, she picked up an entire community. Delightful! After I allowed that perhaps I might know a little bit about rugby, Cheryl wanted me to teach her everything possible about the game. She was dating a soldier stationed at the Presidio who said he was a rugby player, and she wanted to be conversant with his sport. Not having the time, or the energy as we would all later learn, to keep up with Cheryl’s need for involvement, after an hour or so I introduced her to the assembled referee conclave who were there to watch the evening’s match, so as to be able to discharge my other duties. Of course it turns out the soldier was only a wanna-be in a striped shirt but to Cheryl, rugby and the Pelican Refs were the real thing. I’d like to think that we supplanted her boyfriend. With a heart as big as her smile, Cheryl became involved with planning our meetings and socials events, coordinating food and drink at tournaments, and then took over the checkbook and served as our treasurer for many years. New refs immediately assumed that she’d been around forever, as she understood who did what and how things worked. These same traits endeared her to the Golden Gate club, as she came to perform many of the same duties for them, even during her involvement with the Society. She was the first woman to win the “Club Person of the Year” award with Golden Gate in 1998. Those of you who recall attending Test matches at Balboa Park will have seen Cheryl in the ticket booth, or re-stocking the snack bar, or finding a lost jersey, or all of these and more seemingly at the same time. Retiring from Chevron and anticipating even more travel and rugby involvement, she was dealt an unfortunate hand when health problems intervened, precluding these activities and keeping her from the company of many of those who loved her. Fortunately but ironically, that cloud began to lift earlier this year when a perceptive doctor made a long-overdue change in medication. Alas, it was only in time for Cheryl to have to face the end bravely, as always, when another even more diabolical diagnosis appeared. Cheryl leaves her daughters Shay and Christine, along with a sister who was dependent on her, as so many others before. She leaves bereaved friends on two continents; she leaves the SF/Golden Gate RFC without another of its illustrious alumni; she leaves the Pelican Flock flying in a missing-man formation; and she leaves us all to our memories of a delightful and giving person whom we were fortunate to have had brighten our days while we dwelt together on this mortal coil. Her friends trust she is finding eternal delight, with a heavenly view of the White Cliffs. Dave is survived by his wife Connie, his son Donnie, and many loving family members and dear friends. His friendship, warmth and outgoing personality will be deeply missed. Dave was born in Portland, Oregon. In 1950, the family left Portland and settled in Richmond. Dave graduated from Harry Ells High School in 1966, and from Contra Costa Community College in 1970 where he earned a California Community College Instructor Credential. He earned his B.A. and master’s degrees from Cal State University, Hayward before graduating from Hastings Law School in San Francisco. Dave was admitted to the California State Bar Association in 1979 and practiced law in Hayward for 25 years. He was admitted as an attorney to the Supreme Court of the United States and enrolled as an attorney with the State of Tennessee Supreme Court and licensed to practice law in Tennessee. Dave was enthusiastic about life and enjoyed numerous pursuits. For several years he served as a volunteer with Camping Unlimited and Community Assistance, where he thoroughly enjoyed working with challenged children. Dave was passionate about rugby, a sport he played for 20 years. He toured internationally and throughout the United States with the Hastings Rugby Football Club, later becoming a rugby referee and referee evaluator. Dave enjoyed writing and completed a screenplay. He was a member of the American Federation of Television and Radio Artists. Dave was a licensed private pilot with the Federal Aviation Administration and a member of the Aircraft Owners and Pilots Association. Yet another season is now upon us. As referees we think that what comes from participating in a “game” is our job and part of why it never gets boring. Sometimes, whatever game we do, we become a part of that game’s history without thinking of what makes it a “good” game. As Rugby referees, we perhaps should become optimists without apology for that position. Who has ever led or helped by a defeatist attitude? Every Rugby Saturday is a great day! If you don’t believe that, just try missing one. As Rugby referees, the “evaluators” grade us, in my humble opinion, more on the mistakes we make than on the number of correct decisions. This may be counter to the belief that it’s better to “accentuate the positive”. So now it comes time for some bold statements and divulging the truism: “What the mind can conceive and believe can be achieved.” We can teach ourselves to think in a positive way and take action; to perform toward success. When you put the correct picture in your mind, you will tend to move in that direction. When you think “that’s not right”, a distraction may occur. “dos”. Don’ts slow down getting it right. “Don’ts” may be irrelevant to the quest to be a totally impartial and excellent Rugby referee. before it happens in movement or decisions. When we make a good call, one agreeable to both sides, both coaches and our evaluators, it is important to remember how we made that call, visualizing how it was made and why. As impartial referees, we need to put aside the natural human tendency to be a star or a hero. We need just to make the right call. If we try to visualize each Rugby scenario and what we would do and call, when game time starts, we will definitely be ready. Visualization is now standard in all athletics. Once a referee learns to visualize his performance, improvement and consistency are sure to follow. Many of us have heard over and over the phrase, “Practice makes perfect.” Consider the more appropriate thought that “perfect practice makes perfect”. Just going out and refereeing numerous games does not make us better. Concentration and practice and visualizing perfection for each situation that may occur does increase perfection. To develop excellence in refereeing any Rugby match, we must know what we are doing and intend it the right way every time. There is a place here for the value of criticism, of self-confidence and of strong self-esteem to enhance consistent performance. In Rugby refereeing there is necessary, continuous movement. This is a certain art. The rapid movements demand a speed in decision making. That speed, in turn, is mentally draining because of the intricacies of the laws and interpretations. As this column has stated before, the reality of Rugby refereeing places all of us in an awkward position. We must maintain control over athletic contests involving 80 minutes and 30 combatants and yet see to it that the game progresses with as little interference as possible on our part, all the while briefly communicating our “impartial” judgment calls: to spectators, coaches and players. This is tough! It requires that the heart of our officiating is to treat every play, every breakdown, every phase as equally important, giving it our total undivided attention. True life history teaches us that we cannot “float on cruise-control” or “on our resume”. Wonderful past achievements, awards and rank don’t help with real-time performance. Distraction and now-time lapses are the enemy. nightly before a new audience. Every repeat performance should be as good as the best ever. As referees, that is our challenge; the challenge for anyone with excellence as his or her goal. through our memory banks. We must have fresh knowledge to have fast and accurate knowledge. We can never be too prepared. If we are not prepared by all of this self-study, then we are forced to think about the action and applicable law. This causes a lapse which, in turn, may give the coaches, players and spectators the impression that we are not in control, or not impartial to what we are trying to do. Worse yet, we will realize that as referees, we were not ready! Performance depends on being totally focused. This degree of “mental management” may be tougher than being in shape and solid on the laws, because no one can help us with it. No one can get inside our minds but us. If we don’t maintain our focus, the moment will be gone! The old maxim is true; we are only as good as our next call! Over the years, I have sometimes been asked if referees are prejudiced, if they try to get even with loud-mouthed coaches, or obnoxious players. The reply is always the same: It takes two teams to play a Rugby match. No referee worth his salt will try to “get even”. Not only do Rugby refs have a bigger spirit than that, but it’s virtually impossible to do. Trying to “get even” is not unlike trying to even up your sideburns–you never get them exactly right. Players do commit penalties and infringements of the laws, and we as referees must call them. Nothing personal; it’s all in the name of fairness. Our performance as referees is influenced by knowledge and practice. This is true for players, coaches, officials or any job! It is true on the pitch, any assembly line, or in any job where specialized information is needed and practicing specific techniques makes you better. Our sport and the art of refereeing involves guts, drive and honor in action. REMEMBER: Not all referees are good, but all good referees are fit, consistent, and always impartial in their judgment.